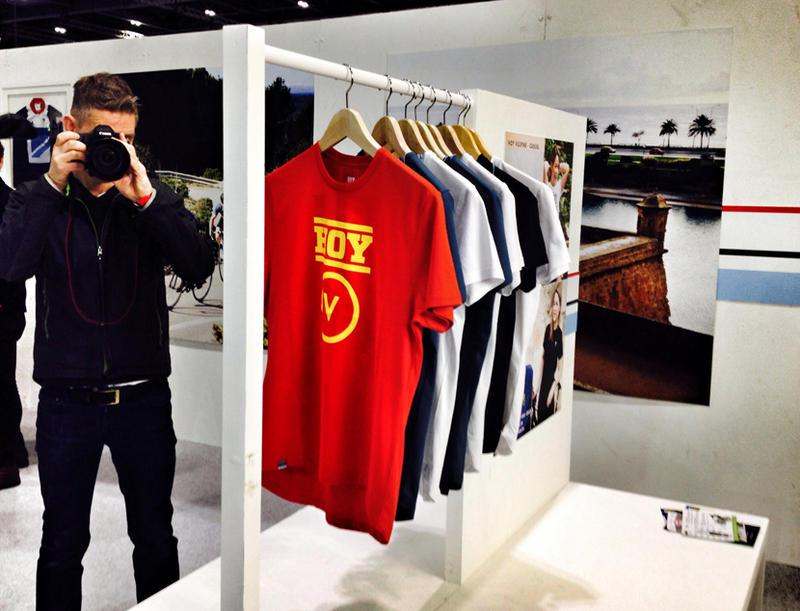 Getting the inside line on the new Hoy Vulpine range with Jools Walker at the London Bike Show. 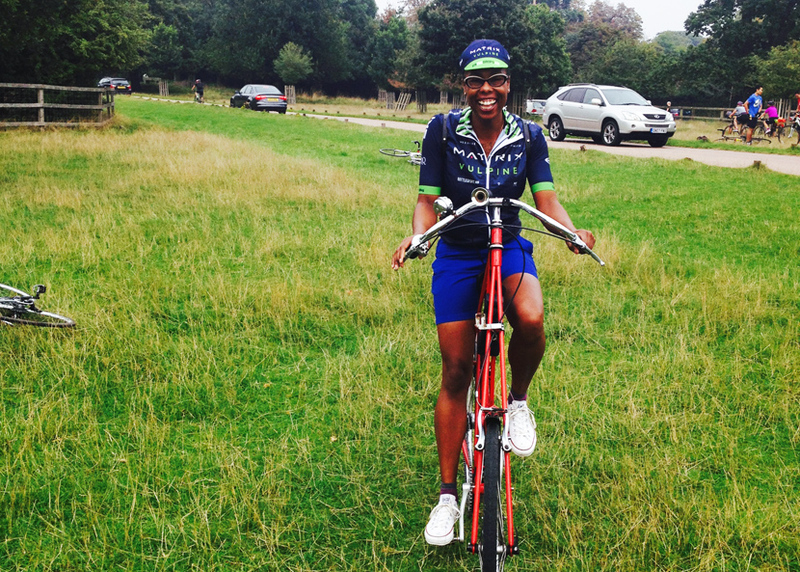 The first time I met Jools Walker – cycling style blogger at Velo-City Girl and ‘Head Girl’ at stylish cycling apparel brand Vulpine – was at a Sweaty Betty bloggers event on the Kings Road. It was a frenzy of trying-on and not enough changing rooms and somehow we ended up in the shop basement, in our underwear, gleefully giggling amid piles of luxury sportswear. I hasten to add that we’ve managed to stay fully dressed every time we’ve met since. Our paths have crossed at the launch of Brithish Cycling’s campaign to get more women cycling, the Vulpine cycling fete, the Total Women’s Cycling Awards, the Matrix Vulpine team launch and the social ride in Richmond Park, and now at The London Bike show where the brand was launching Hoy Vulpine, a new collaboration with cycling and Olympic legend Sir Chris Hoy. Jools was holding fort at what turned out to be one of the biggest stands at the show: a huge floor space featuring a fairly minimal amount of carefully displayed garments (think luxury retail). The promise of a Costa Hot Chocolate soon lured her away, and we grabbed ten minutes for a catch up about the new launch (whilst been shot by a photographer who had – fashion coincidence – turned up wearing a Vulpine jacket). Hoy Vulpine was born when Chris Hoy – GB’s most successful Olympic athlete of all time – approached Vulpine – GB’s most successful small, British cycling apparel brand founded in the last three years – about developing a range together. 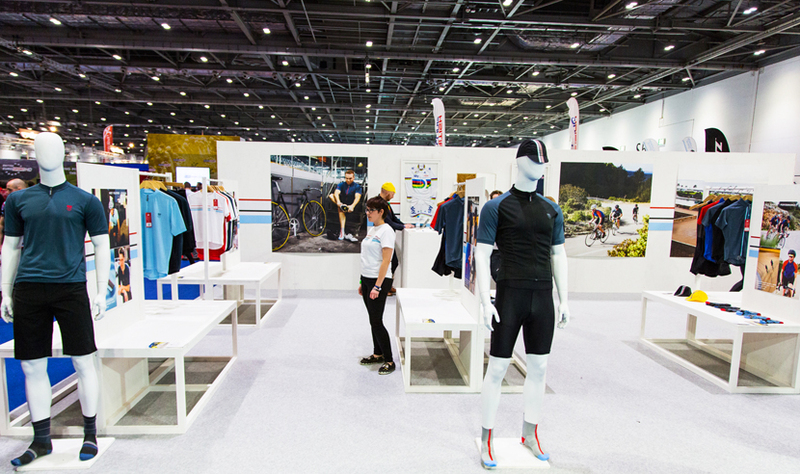 Once they had picked themselves up off the floor, they collaborated on a collection that includes bib shorts and jerseys alongside t-shirts, shorts and socks, with garments for men and women. They haven’t wasted the opportunity to use the Hoy name prominently – it would be foolish not to. While still based on performance fabrics as well as style, the garments are a little more keenly priced than those in the original label collection – £26.99 for a t shirt, £69.99 for a jersey, £79.99 for bibs. It’s also going to be available at Evans (from March) as well as online at Vulpine so while you might not be getting the full-on luxe merino of the main label, you are getting the benefit of economies of scale. I love the colourways and the design details – there’s not a garment that I wouldn’t wear. At the risk of sounding like a woman obsessed with zippers, I liked the choice between a full zip and part zip on the cycling jerseys, and the use of gripable zip pulls that you can use whilst wearing gloves (and angled rear pockets for ease of access). 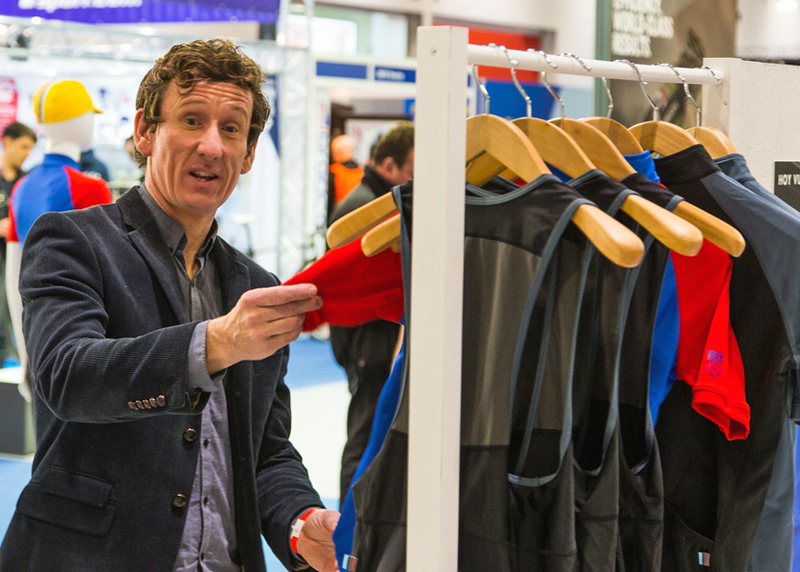 The bibs feature a full bodice rather than just straps: it gives a more streamlined look. And there’s even a zipper garage (a little flap at the top of the zip) that stops the top of the zip digging in to your sternum (I deliberately checked for this because I have a similar pair from another brand which lacks the zipper garage, and so digs in). And the lovely contrast zips – did I mention those? Matt Stephens – probably not quite so excited about the zip technology as I am. Post hot chocolate, we headed back to the stand. Matt Stephens had just turned up and happily posed for a few photos. The next day Greg and Kathy LeMond visited and did a little shopping, and Chris Hoy was on the till (or at least very near it). Me? I came, I saw, I got the same T-shirt as Jools because she always looks great: it’s a no-brainer, really. See and shop the full range here. photos: Paul Mitchell.